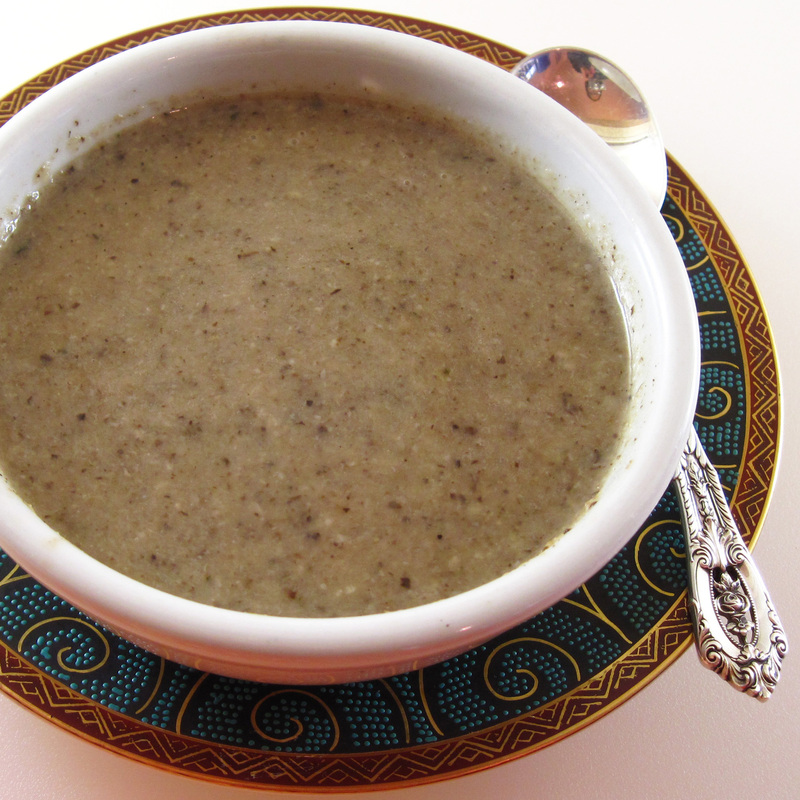 If you like mushrooms, this Roasted Mushroom Soup is for you! It’s adapted from Kathy Gunst’s recipe in her lovely book, Notes from a Maine Kitchen. I’m enjoying reading Notes from a Maine Kitchen. Carrie recommended the book (and the mushroom soup) to me. Maine is on my list of places I would like to visit. It’s fun to read Kathy’s essays about life in Maine, and I find that many of her recipes are ones I would like to try. Each chapter of the book is devoted to a month of the year and the seasonal foods that one can find in Maine at that time. The chapter for October is about wild mushrooms, apples, and cider. 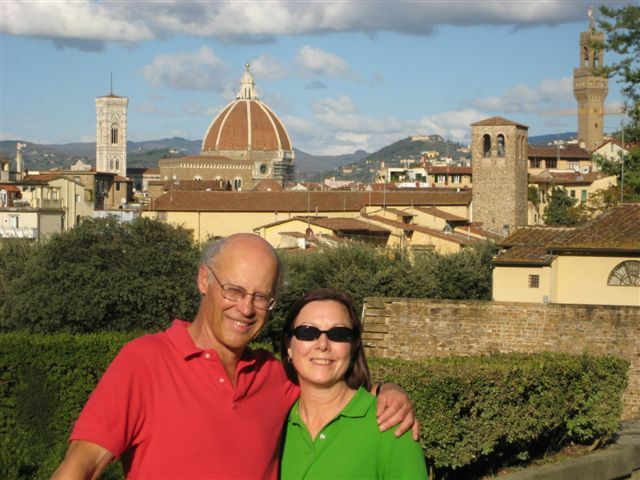 Kathy writes about going mushroom hunting with a professional forager. 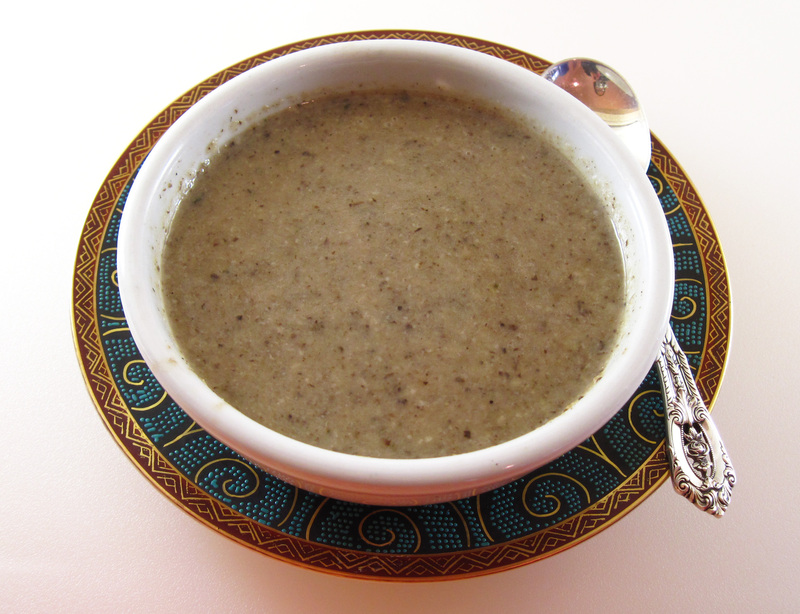 Her recipe is called Roasted Wild-Mushroom Soup, and she recommends using any wild mushrooms. Like Maine, Washington State is a great place to go mushroom hunting, but only if you really know what you’re doing. There are deadly mushrooms that can easily be mistaken for the edible varieties. I think I’ll limit my “foraging” to the produce section of my supermarkets. I chose about 3/4 pound of shiitake mushrooms and a large (1/4 pound) portabella mushroom for my soup. Since the supermarket mushrooms are cultivated, not wild, I call my version Roasted Mushroom Soup. We loved it! The idea of roasting the mushrooms is brilliant; it really intensifies the flavor. Kathy suggests the optional addition of “a touch heavy cream, crème fraiche, or yogurt”. I used ¼ cup of cream and it seemed just right. 1. Preheat oven to 400˚. 2. Gently clean the mushrooms with a damp paper towel. 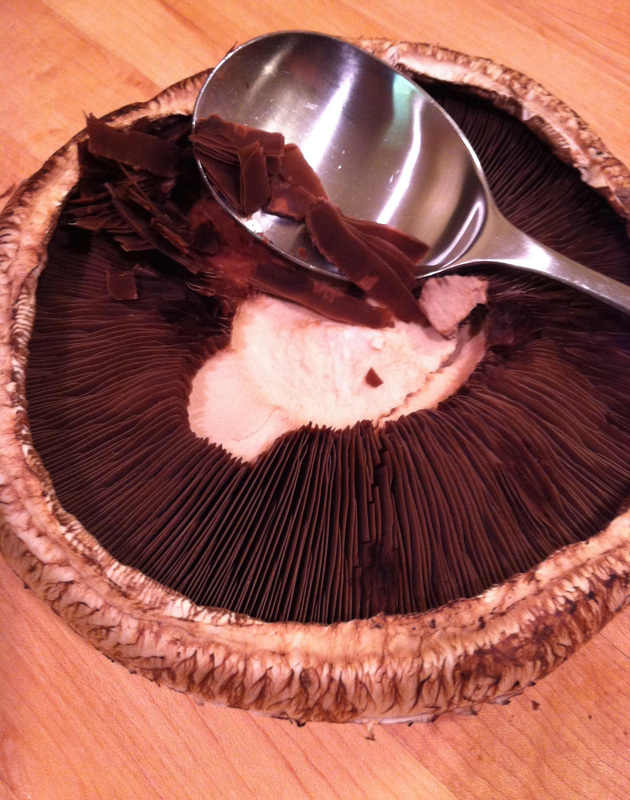 For portabella mushrooms, remove the stem and scrape the gills out with a spoon. For shiitake, cut the end of the stems off. 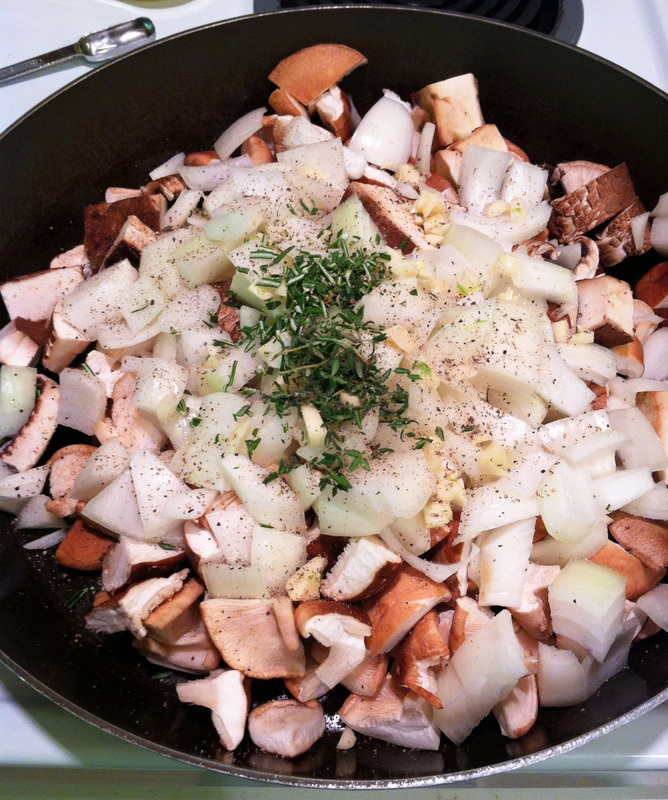 Chop all of the mushrooms into chunks. 4. Roast for 20 – 25 minutes, stirring a couple of times. 5. 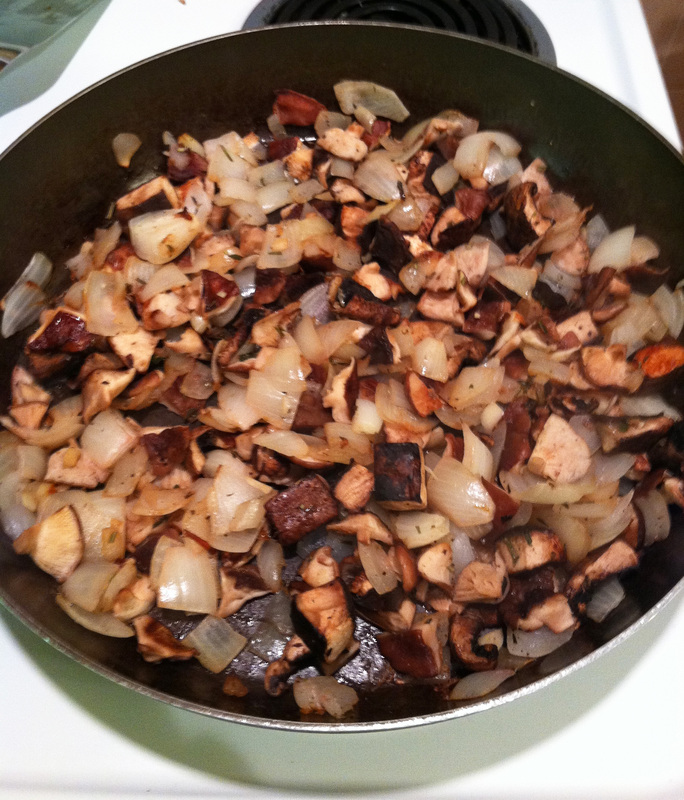 When the mushrooms are tender, remove from the oven and stir in the sherry or wine, scraping up any bits. Stir in the broth and let it cool for a couple of minutes. 6. Working in batches, blend the soup in a blender. Put some of the soup in, filling it only half full. Hold the lid on securely with a pot holder while you blend it. 7. Put the blended soup in a large pot. Stir in the cream, taste for seasoning, and reheat until it’s hot again. I don’t know if you really need to remove the gills. I just always have done it. The idea of mushroom soup really sounds good! I just read that some mushrooms can actually help boost the immune system and shitake is one of them! A great excuse to indulge in this would be to ward off sickness. 🙂 I hope you are well, my friend! Thanks, Dionne! Isn’t it great to eat something that boosts your immune system and tastes great! And it is soup season now, isn’t it? Happy fall to you and yours!